While I've had quite enough of winter thankyouverymuch, at least I can take solace in the beauty that Simon Beck ekes out from the snow I've so come to loathe. 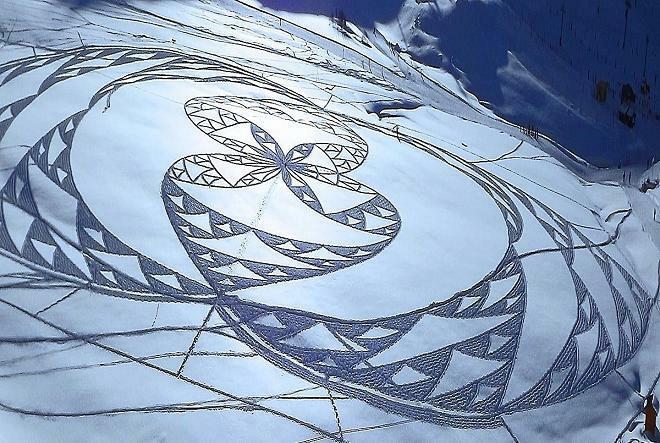 Working in the valley of Savoie, France, the artist creates his frozen masterpieces entirely by foot, each step in his briquette snow shoes a brush stroke. 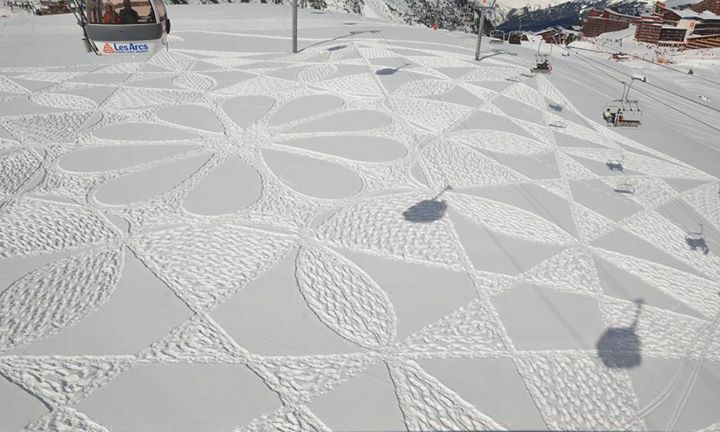 From spirographs to starbursts, Beck tends toward mathematical patterns, which create varying effects depending on the vantage point and the light. 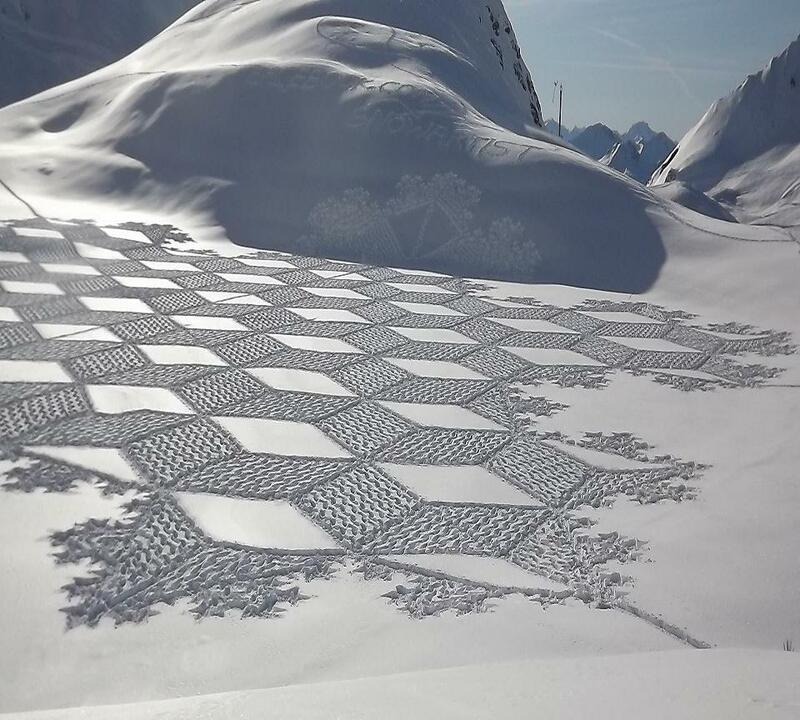 He works for up to nine hours on each ephemeral design, forming the snow into new patterns whenever a fresh snow falls or mountain winds blow his work away. 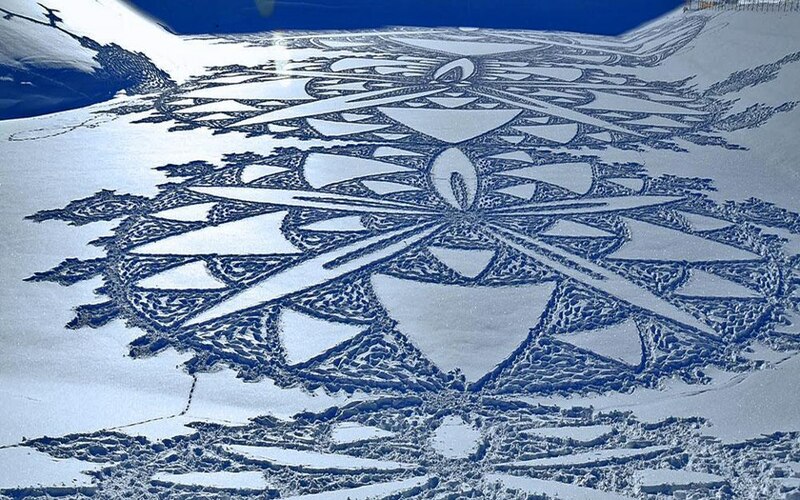 You can view more of Beck's snow drawings on his Facebook page. 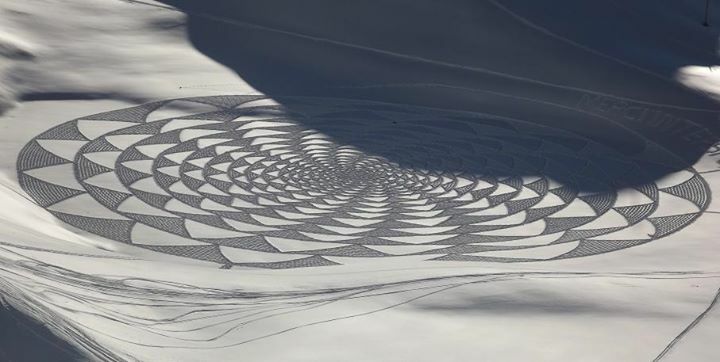 Or, if you're lucky enough to be planning a ski trip to the Alps, his creations can be seen just beyond the ski runs of Les Arcs resort, overlooking Mont Blanc. 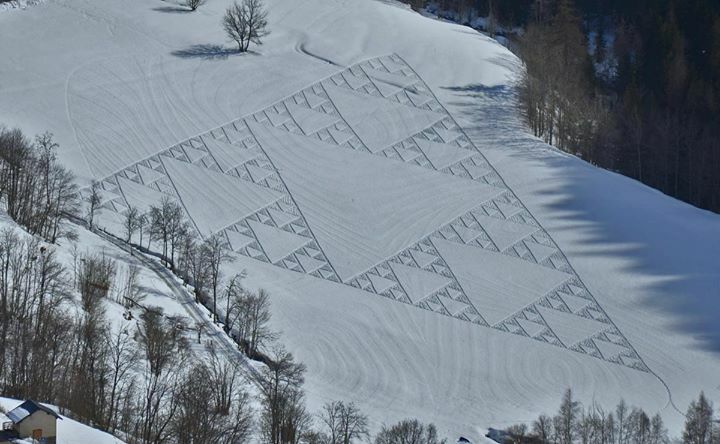 Ok, this is incredible! 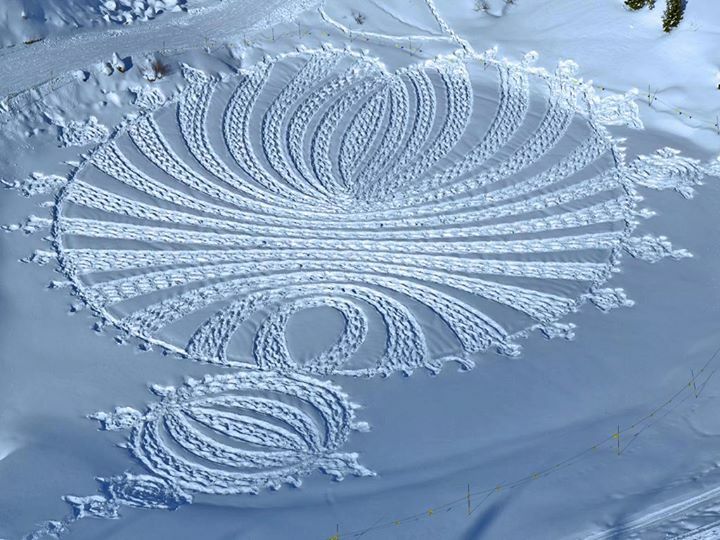 Who knew someone could create such masterpieces with their feet? 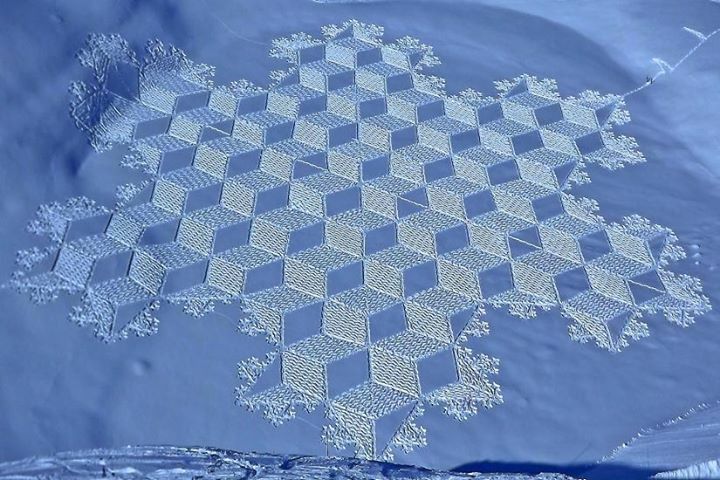 I'd never have the patience for something like this. Right? I just can't wrap my mind around it!